Adrian Toribio assumed the position of director of operations and quality for K-Rain. Formerly, Toribio held positions within K-Rain and its subsidiaries. He brings knowledge of engineered components, commodities and procurement needs to the table, the company said. 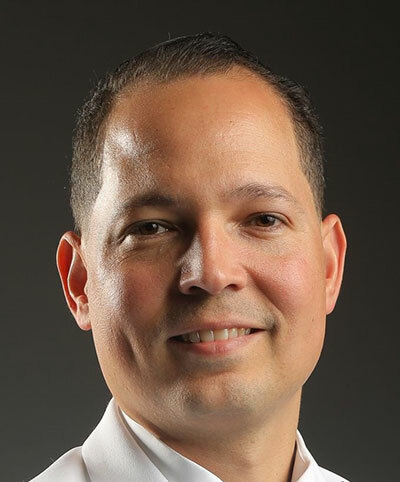 In the new position, Toribio will actively oversee the supply chain of K-Rain intelligent flow technology irrigation products throughout the U.S. and around the world. Darrin Shannon has been promoted to California regional construction manager of Gothic Landscape’s construction division, and Tony Sayegh has been promoted to regional manager for the Northern and Southern California Regions of the maintenance division. Shannon began his career at Gothic in 2001 following his graduation from California Polytechnic State University—San Luis Obispo with a bachelor’s degree in agricultural business with a focus on marketing. In his new position, Shannon will have responsibility for the construction division’s branches in Riverside/Orange County/San Diego, Los Angeles/Ventura and Northern California. Sayegh joined Gothic in 2010 in business development and transitioned to operations as both an account manager and, most recently, as branch manager of the Santa Clarita Valley Branch of the Maintenance Division. Sayegh is a 2004 graduate of California State University and was the recipient of the 2018 Michael Georgio Award for exceptional service and execution. Advanced Turf Solutions promoted Victor Garcia to CEO. Co-founder, Alex Cannon, has stepped down from his role as CEO but will continue to serve as chairman of the board of directors. Scott Brame, former Vice President, has been promoted to president. Garcia has been an integral part of the leadership team since the beginning. He previously served as the company’s vice president and become president in 2013. He has also served as president of United Turf Alliance. Brame is a 30-year turf industry veteran with roots as a second-generation golf course superintendent.